Another day, another press appearance by White House press secretary Josh Earnest. I couldn’t tell you what it was about (probably hot dogs), but it wasn’t the contents of the talk that were interesting, but the interruption. The White House’s James S. Brady Briefing Room was evacuated during a live, televised press event. One minute it was a live television event, and the next it was a life television event worth watching. Journalists were hustled out of the building as it went into lockdown following a phoned-in bomb threat. Some 20 minutes later, the all-clear was sounded and the briefing continued, no doubt with a new topic of discussion. This isn’t the first time the White House has been evacuated, despite its high security and cutting-edge technology. 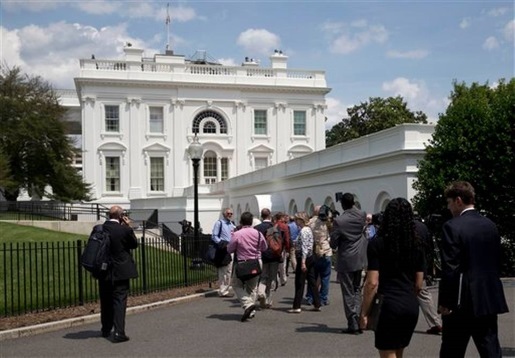 However, it is the first time the White House briefing room has been evacuated during a live television events. I can’t help but think back to the television show Veep. Three weeks ago in the episode “Mommy Meyer,” multiple security events occurred, all of which caused hilarious repercussions for the fictional White House. I’m sure it’s not as fun in the real White House, but I am also pretty sure they handle it a little bit better there, too.